POSITIVO ESPRESSO: Giro d'Italia enters the Dolomites! I have been getting Beardy McBeard's daily glorious photo updates on the Giro d'Italia. It was fun to see the photos of the individual time trial go down a road in Tuscany that I traveled many times during a week there last summer. And it is even more fun now to see Saturday's Stage 14 as the Giro entered the high Dolomites, with 4700 meters of elevation gain while going over Passo Pordoi, Passo Sella and Passo Gardena ... as we did last summer on Stage 4 of the amateur Giro delle Dolomiti. 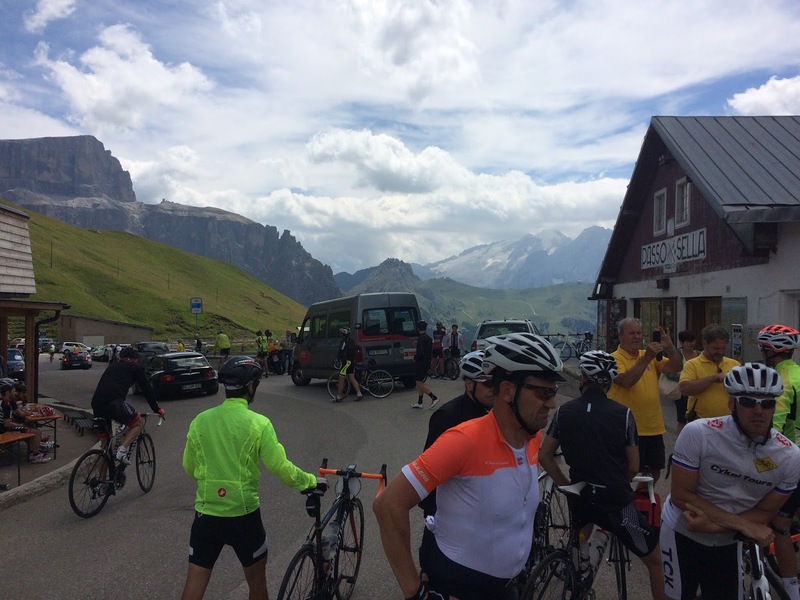 *The pros add Passo Giau and Passo Valparolo on at the end to get to 4700 meters elevation gain. We had maybe 3250 (?) meters if memory servers. 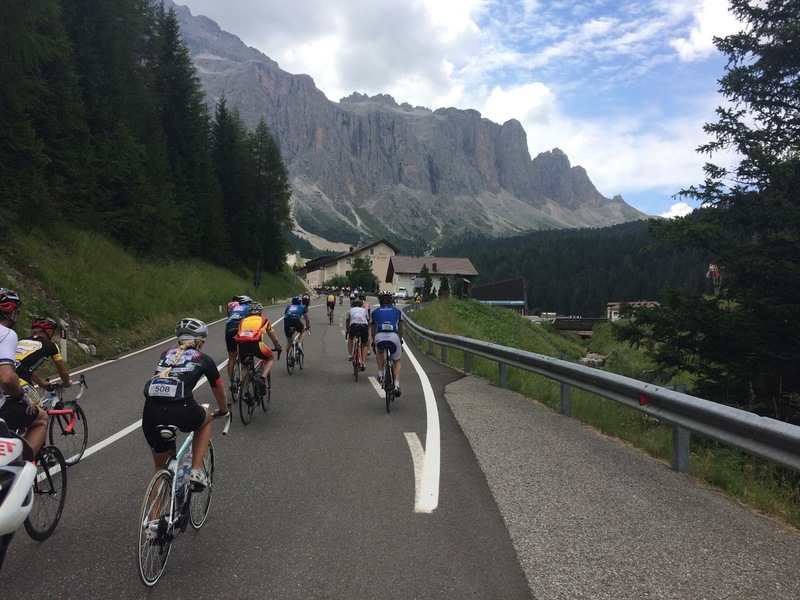 Stage 16 today went through the city of Bozen and up the Mendel Pass. Like you said I wish I would have been there. Yes, Mendelpass lives on in P.E. lore ... I remember when we departed Kaltern and your wheel got stuck in a rut in the cobblestoned street as we started the climb back in 2011. ... And I wonder how fast the peleton was going on the first 43 kms kms down the valley from Brixen to below Bolzano -- probably crazy fast if I remember that 1-2% downgrade and wide road from last year (excuse my mixing German and Italian town names in the same sentence). And stage 15's uphill ITT was up a mountain along the east side same valley just NE of Bolzano!